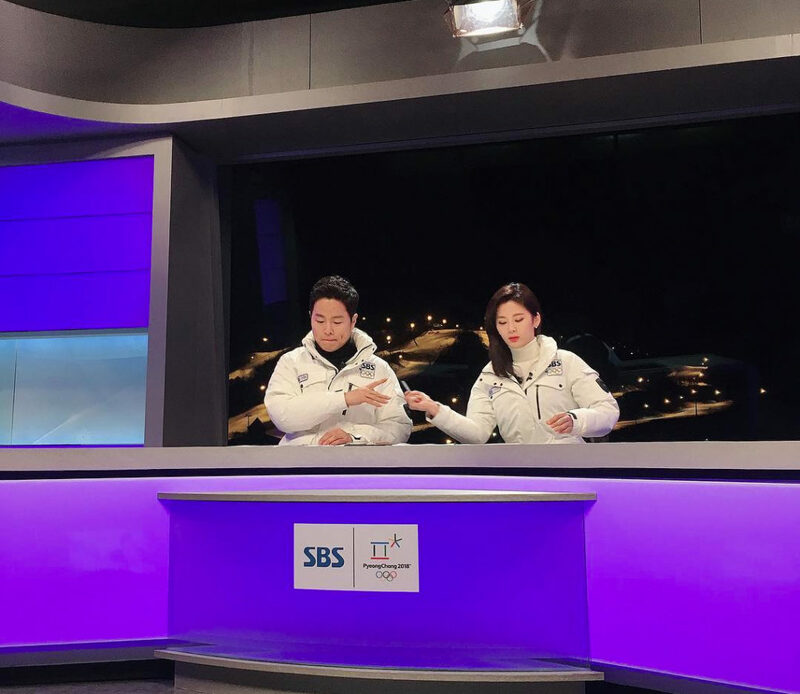 SBS (에스비에스), which is the primary rights holder of the Olympics for South Korea, is using two simple and clean studios for its coverage of the PyeongChang Winter Olympics. 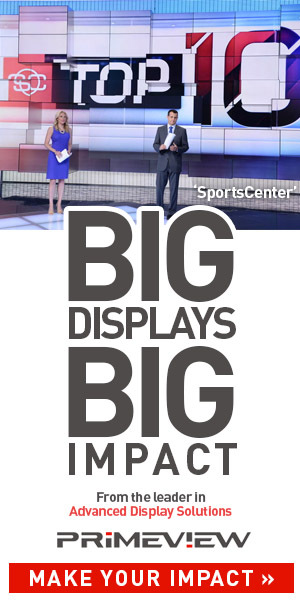 Korean broadcasters KBS and MBC also provide coverage of the games from their own facilities, including KBS’s full scale studio. 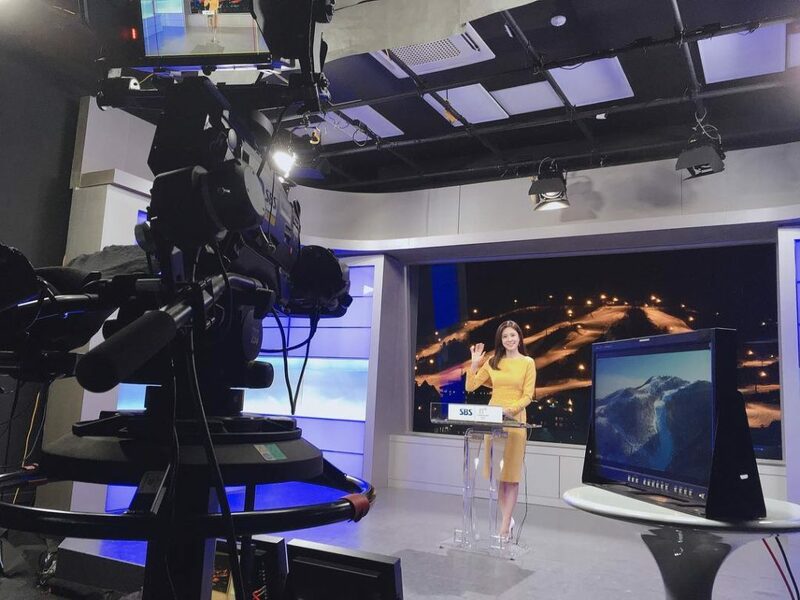 Inside of the International Broadcast Centre, SBS has a mostly stark white space that, thanks to an inset that wraps around three walls of the space, has pale blue accent lighting. Snowflake and triangular accents are also placed on the walls, which purposefully avoid right angle corners. The studio floor is also white, a look that, thanks to those rounded corners, looks almost like a miniature ice skating rink. While white and pale blue dominates the space, wall mounted flat panels and a logo decal of the floor add additional splashes of color. In addition to this studio, SBS also has a windowed studio on the roof of the IBC that can be set up as both a standup or anchor-desk style booth. This design favors a light gray tone with blue and violet backlit panels over the starker white of its counterpart downstairs. For its open, SBS uses a customized version of the OBS open.